Jump the queues when you book in advance! Use anytime during your holiday - no need to book a day or time! 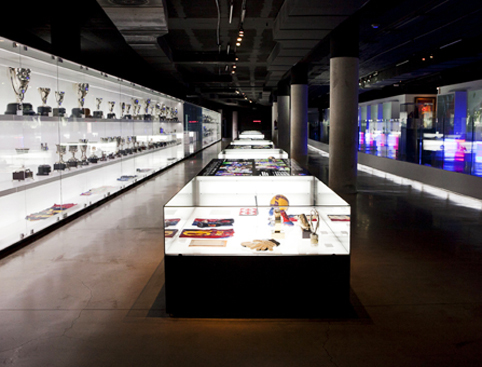 Self-guided tour of the Nou Camp & museum entry. Enter restricted areas behind the scenes! Your ticket can be used on any day within its validity subject to closures. We’ll email you immediately to confirm that we’ve received your booking. Your e-ticket and actual ticket will be sent to you by email within 48 hours - please print it out. This process will reduce your queuing time whe you arrive at the stadium. Present your ticket at the Camp Nou entrance and enjoy! Please note tickets are non-refundable after booking. 100% cancellation fees apply. Go behind the scenes at one of the world’s biggest football clubs on the Nou Camp Tour – the home of FC Barcelona! Go straight to the stadium with our gate ready tickets! Skip the queues into one of the world's most famous football stadiums! Enter restricted areas like the changing rooms and the players’ tunnel. The ultimate experience for football fans! 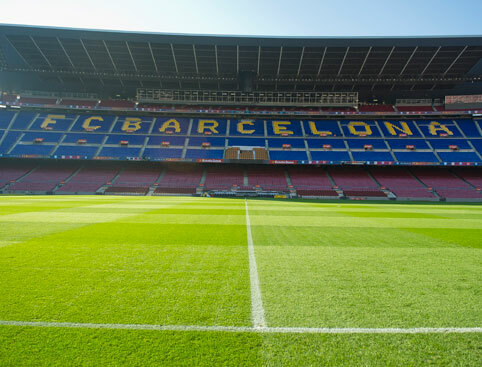 Enter the grounds of FC Barcelona, home to one of the world’s top teams, on this tour of the Camp Nou stadium. 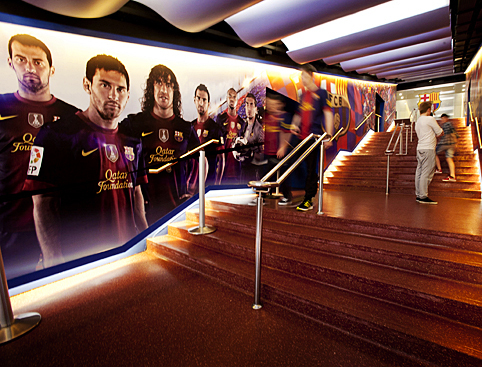 This behind-the-scenes tour includes access to the most emblematic areas of Camp Nou. See inside the changing rooms, walk down the famous tunnel which offers superb views of the pitch, stadium and more! Visit the television studio, the mixed zone, the pressroom and the commentary boxes. Take advantage of the audio-guide system (not included with ticket) which allows you to take the Camp Nou tour at your own pace, as well as letting you in on some amusing stories about the club and its players past and present! This Nou Camp tour also includes entry to the excellent Camp Nou museum. This large, modern museum features many interactive exhibits, making it great fun for kids. Don’t miss the opportunity to explore the footballing home of greats such as Maradona, Cruyff, Kubala and Ronaldinho. Daily except for 25th December and 1st January. Tickets are open dated and can be used anytime during the same calendar year. This is a self-guided tour which you can take at your own pace. An audio guide is available at a small extra charge, in various languages including English. Your e-ticket and actual tour ticket will be sent to you by email within 48 hours*. You must take a print-out of your ticket to the Camp Nou in exchange for your admission. Please note the standard opening times are 10am - 6.30pm, Monday - Saturday (no match day) and 10am - 2.30pm on Sundays and public holidays. On match days there will be limited access to some areas. Days of La Liga or Spanish Cup matches: The Tour will be closed all day. The Museum will be open up to 3 hours before the start of the match (with a stadium visit from the second tier included) and will re-open 90 minutes before the match up to the start of said match. 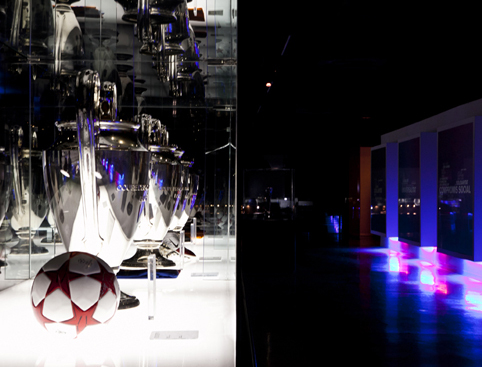 Champions League match days: The Tour will be closed all day and you can only visit the first floor of the Museum until 3 pm. The day before, the Tour route will be modified giving access to all areas except the 2nd floor of the Museum..
*Please note FC Barcelona only releases Gate Ready E-tickets 30 DAYS in advance. 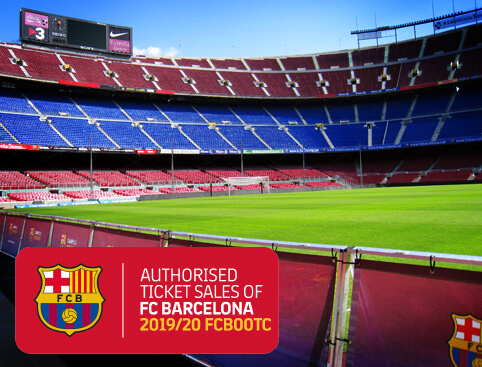 The e-ticket will be send to you as soon as FC Barcelona makes them available. 100% cancellation fees apply for this ticket. Refunds are not available after booking. From Plaza Catalunya underground station, take the subway straight to the Camp Nou stop. Book the Hop On Hop Off Barcelona Bus Tour, which will take you straight from Plaza Catalunya to the Nou Camp Stadium! This journey will take approx. 20-40min depending on traffic – this is the same as public transport would take. If you prefer to drive, free parking is available during Camp Nou Experience opening hours (match days parking is available on the premises until 4 hours before kickoff).